N.O.-based band formed in wake of Katrina at Ardmore, Sat. New Orleans-based Honey Island Swamp Band makes its Delaware Valley debut Saturday night at the Ardmore Music Hall. When Hurricane Katrina slammed into New Orleans in August 2005, it swept away vehicles, buildings and just about everything in its path — including people. Thousands of the city’s citizens were displaced. Many found new places to settle while awaiting normalcy to return to the Crescent City. 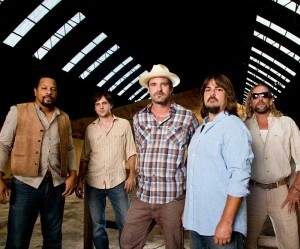 One of the results of the devastating hurricane was the formation of the roots music group Honey Island Swamp Band. On June 28, the New Orleans-based quartet — Aaron Wilkinson (vocals, mandolin, guitar, harmonica); Chris Mulé (vocals, guitar); Sam Price (bass, vocals); Garland Paul (drums, vocals) and Trevor Brooks (keys) — will make its Delaware Valley debut with a show at the Ardmore Music Hall. The Honey Island Swamp Band has its roots in New Orleans but actually was conceived and born on the West Coast — in the transplanted musicians’ temporary home in San Francisco. “We all had known each other from the New Orleans music scene but we had never played together,” said Wilkinson, during a recent phone interview when the band was en route to Baltimore for a show. Then, their paths crossed on Fillmore Street in San Francisco — at a club known as the Boom Boom Room. “We all ran into each other at the Boom Boom Room,” said Wilkinson. “It was a big shock to see those guys (Price and Paul) come in together. The Boom Boom Room’s owner Alex Andreas offered us a weekly gig on the spot. The Honey Island Swamp Band quickly became a favorite of Bay Area roots music fans. Two months into the band’s residency at the Boom Boom Room, sound engineer Robert Gatley approached the band with a rare opportunity. Gatley wanted to record an album with them at the legendary Record Plant studios in Sausalito. The seven-song eponymous debut “Honey Island Swamp Band” was a rousing success with Wilkinson and Mulé both contributing favorite originals. The disc was received so well that they all decided to continue the band upon moving back to New Orleans in 2007. “Katrina has influenced our music a lot,” said Wilkinson. “Much of our early stuff we wrote was directly about that. With the flood, most of us lost everything we had. It was a trip. It’s hard to describe what it was like. Honey Island Swamp Band will perform on June 28 at 8 p.m. at the Ardmore Music Hall (23 East Lancaster Avenue, Ardmore, 610-649-8389, www.ardmoremusic.com) with the California Honeydrops as the opener. Tickets are $12 in advance and $16 on the day of show. This week’s schedule at the Ardmore Music Hall also features Laura Mann and Splintered Sunlight on June 26; Glen David Andrews, Transistor Radio and The Wayside Shakeup on June 27; and “BVT Live! — Dance Party!” on July 1. Splintered Sunlight, a popular Grateful Dead tribute band, will return to the venue along Lancaster Avenue for shows on July 3 and 11. The Steel City Coffee House (203 Bridge Street, Phoenixville, 610-933-4043, www.steelcitycoffeehouse.com) has a full weekend of top-flight shows on its calendar beginning with Jeffrey Gaines at 8 p.m. on June 27. Tickets are $20 in advance and $22 day of show. On June 28, it will be time for “Storytellers in the Round” with Chris Holt, Tom Guest, Matt Spitko and Cole Campbell. Showtime is 8 p.m. with tickets priced at $12 in advance and $15 day of show. Fern Fest is scheduled to start at 7 p.m. on June 29. The multi-act event includes the Deb Callahan Band along with an in-the-round with Nik Everett, Cliff Hillis and J.D. Malone. Tickets are $12 in advance and $15 day of show. The concert also features the Fern Fest All-Star Orchestra with Jeannie Brooks, Jay Davidson. P.M. “Phunkyman” Eaton, Chico Huff, Allen James, Garry Lee, George Manney, Conor McCarthy, Mike Mennies, Neil Simpkins, Wally Smith and Tom Walling. The 30th Annual “Concerts Under the Stars” series, which is presented by Upper Merion Township & Point Entertainment, is underway with another talent-laden schedule. The shows at the Upper Merion Township grounds (175 West Valley Forge Road, King of Prussia, 610-265-1071,www.umtownship.org) are held on Sunday nights with a 7 p.m. start time. On July 6, Cheryl Wheeler will be the headliner along with special guest John Beacher. Liz Longley, a graduate of Downingtown High who is now an established musician in Nashville, will top the bill on July 13 with Kevin Killen and Brian Dunne as the opening acts. Trout Fishing in America will be the main draw for the show on July 20 while the opening slot will be filled by Caveman Dave. The series finale on July 27 features “Sweet Loretta Fat — A Tribute to the Beatles” along with special guest Dan Rooney. All the concerts feature free admission with parking is available on the premises. All concerts are held outdoors so visitors are encouraged to bring lawn chairs and blankets. Outdoor concerts appear all over summertime entertainment calendars each year. Fortunately, this area has two of the nicest settings for shows under the stars — Winterthur Museum, Garden & Library (5105 Kennett Pike, Route 52, Wilmington, Delaware, 800-448-3883,http://www.winterthur.org) and Longwood Gardens (Route 1, Kennett Square, 610-388-1000, www.longwoodgardens.org). Winterthur has an annual summer music series called “Music Along the Bank.” Visitors are encouraged to bring a picnic, a blanket and a few lawn chairs and then to enjoy the sounds of live music performed by some of the finest bands in the region. Performances will be held on select Fridays from 5:30-8:30 p.m.
On June 27, the “Music Along the Bank” series will present Buffalo Chip & The Plainsmen. The veteran band is led by singer-guitarist Chip Porter and features members of the popular local band Montana Wildaxe. Porter’s band plays a varied blend of acoustic styles including bluegrass, folk, country, Americana, rock and blues. On July 1, Longwood Gardens will host a concert by Rufus Wainright at 7:30 p.m. and will have a performance by Patti Lupone on July 10. Wainwright, who is the son of folk singers Loudon Wainwright III and Kate McGarrigle and brother of singer Martha Wainwright, has become a top act all on his own with a repertoire that spans a variety of genres, including rock, opera, theater, dance and film. Sidney Joseph headlines at The Flash, Friday. 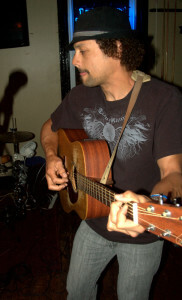 Philadelphia-based singer-guitarist Sidney Joseph will perform on June 27 at The Flash (102 Sycamore Alley, Kennett Square, 484-732-8295, www.kennettflash.org). The opening act for the 8 p.m. show will be the WhiskeyHickon Boys, a Philly-based folk rock act. Tickets are $16 in advance and $20 day of show. The Flash has hosted a number of tribute bands recently and another is slated to play there on June 28. SOS (Sounds of Society) will treat fans to an evening of music made famous by the horn-based rock band Chicago. SOS is one of the top Chicago tribute bands in the country. Tickets are $20 in advance and $24 day of show. On June 27, Burlap & Bean Coffeehouse in Newtown Square (204 South Newtown Street Road, 484-427- 4547, www.burlapandbean.com) will host a benefit show featuring an in-the-round performance with Cedar and Stars, Team Todd All Stars, Cardinal Arms and Chelsea Mitchell. Tickets for the 8 p.m. show are $10. “I put this show together,” said Cardinal Arms’ Bevin McShea. “This show is called ‘Bro Haven’ and is an acoustic tribute in memory of the artist Todd Marrone, who passed away in December. Any money that we get and any donations go directly to the family. On June 28, the headliner at Burlap & Bean will be Caleb Spaulding and the opening act will be Ethan Pierce. Showtime is 8 p.m. and tickets are $10. On July 1, the World Café Live at the Queen (500 North Market Street, Wilmington, Delaware, 302-994-1400, queen.worldcafelive.com) will host a special event — “Bluebird at the Queen” featuring Laura Cheadle, Patty Blee, Sol Knopf, Chuck Schaeffer and Rory Sullivan. The show, which gets underway at 8 p.m., offers listeners a smorgasbord of veteran singer-songwriters — five very talented and very diverse musicians who each have built a devoted fan base in the area. Tickets are $12 and $15. The Laura Cheadle Family Blues Band, which was named “Best Blues Band of the Year” at the 2014 Tri State Indie Music Awards, has spent the last decade touring internationally as well as all over North America. Blee, who has been recording and performing as a solo artist for almost 15 years, cites Bonnie Raitt, Jackson Browne and James Taylor as early influences when she was younger and later influences such as David Gray, Patty Griffin and Shawn Colvin. Her music straddles the line of country and folk. Sol Knopf is a singer-songwriter from Delaware known for his distinctive baritone voice and his ability to pen timeless original songs. Knopf, who has been a full-time musician for most of his life, regularly performs over 200 shows a year. Knopf won SongU.com’s 2003 “Golden Ticket Award” with his song “I Was Born To Love Her.” His most recent latest video “Father Daughter Songs” has attracted close to 100,000 viewers on YouTube. Other activity at the Queen this week starts with The DuPont Brothers and Ben Solee on June 26. On June 27, the downstairs stage will have reggae-rock bands See-I and Grateful Dread downstairs and the upstairs stage will host Highway 41, an Allman Brothers tribute band. The Subdudes and Honey Child will perform on June 28 downstairs while the acts upstairs will be Wakey!Wakey!, Jeremiah Tall and Casey Shea. The main stage concert on July 2 features TRAPT, Religious Vendetta, Shallow Side and Leaving Eden. If you’re looking for a way to have a great day on a summer Saturday and a day of lounging at a poll followed by an outdoor concert of live music by a talented singer-songwriter sounds like it would fill the bill, then plan a short trip to northern Delaware on June 28. Cary, a graduate of Hershey High, attended Duke University with a major in biomedical engineering. Eventually, she realized greasepaint was more appealing to her than Petri dishes, so she switched majors at Duke and finished with a bachelors’ degree in drama. She followed with a MFA (Masters in Fine Arts) in acting from Florida State University. After spending time in the world of theater, Cary decided it was time to switch to as career in music. She released her debut album “New Shoes” in 1998 and Billboard magazine picked the album as its AC (Adult Contemporary) Critic’s Choice. Cary followed with “Onion Dream” in 2001 and “Live at Your House” in 2004. Cary’s concert under the stars will begin at 6 p.m. on June 28 at Green Acres Pool, which is located just below the Pennsylvania-Delaware state line at 1204 Grinnell Road in North Wilmington. An all-day pool pass is just $5 per person and children (under 3) are free with adult. Tickets for the show are $10 with free admission for kids under 12. For more information, call (302) 514-7664 or visit http://greenacrespool.weebly.com.